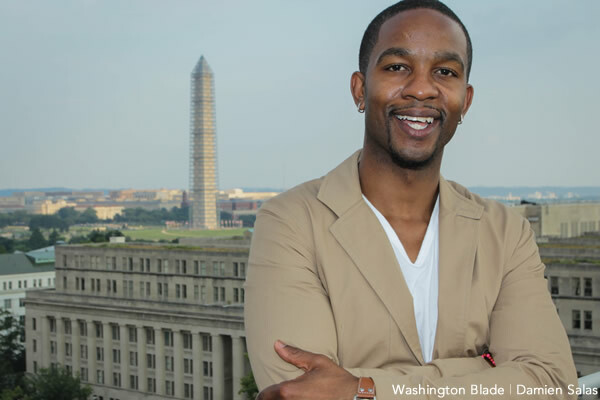 When Wade Davis came out of the closet in June 2012, his story made national headlines. The former NFL athlete who played for the Washington Redskins, Seattle Seahawks and Tennessee Titans as well as two teams within NFL Europe made the rounds on the media circuit to share his story. At the time, Davis was working at Hetrick-Martin in New York as the assistant director of job readiness, where he helped LGBT youth learn life skills. 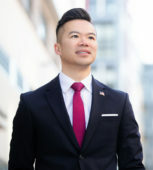 He also served as an LGBT surrogate for President Obama during the 2012 election. Fourteen months later, Davis has launched You Belong: LGBTQA Youth Sports and Leadership Initiative with its first leadership camp recently held in Chicago focusing on basketball. The You Belong initiative was founded by Davis and writer/activist Darnell Moore and serves to provide LBGTQA youth ages 14 to 24, access to various sports through a series of four-day comprehensive sports instruction and leadership development clinics. The goal is to create a safe space where LGBTQA youth can become well-rounded athletes, leaders and human beings. In addition, Davis this month was named the new executive director of the You Can Play Project. The Blade caught up with Davis a few weeks after the completion of the first You Belong Leadership Camp held in Chicago through July 28th. Washington Blade: Congratulations on the first leadership camp. How did it go? Wade Davis: It was life changing. There is a lack of resources for LGBTQA youth and it was great to be able to share with these kids that they have options going forward. Blade: Who made up your group of youths? Davis: We had 40 in attendance that ranged in age from 14 to 22. There was a nice mix of LGBT and straight and most of them were marginally housed. There was a familiar bond as many of them were facing the same struggles. Blade: How did the kids find out about the Leadership Camp and what were they offered over the course of the four days? Davis: We worked with the City of Chicago, the Mayor’s Office and the Center on Halstead to find youth who might benefit from the program. The program was a series of workshops that focused on team building, anti-bullying, safe space and nutrition among other things. There was also a series of speakers that spoke to the kids over the course of the weekend. WNBA player Tangela Smith, WNBA & NBA consultant Donnie Arey, NBA player and coach Bill Cartwright, NBA players Jarron and Jason Collins, NFL player Marques Sullivan, transgender MMA fighter Fallon Fox, You Can Play founder Patrick Burke and Go! Athletes founder Anna Aegenes were all at the camp to interact with the youth. Blade: How did you come up with that list of speakers? Davis: Each one of them brought a different perspective that the kids will be able to use going forward. Bill Cartwright who is 7’1″ shared with them how he felt different growing up because of his height. Playwright Tarell Alvin McCraney of “Choir Boy” fame came in as the closing speaker, which was a nice way to share something with the kids outside of sports. Over the course of the four days, we ran through all the gamut of emotions. We laughed, we cried, we danced. Blade: What are the plans for the camps going forward? Davis: In 2014, we are planning to have three Leadership Camps and the length of them will probably be reduced to three days. I am thinking football will be the focus of one and track and field the focus of another one. We are hoping that the third one will be directed at female youth and at some point we would like to work with trans-identified youth. The scheduling is the difficult part as the camp has to be in the off-season of the targeted sport so the professional athletes can be involved. Blade: Congratulations on the new position at You Can Play. Davis: Yes, I was not expecting there to be this much attention. I think part of it is that I will be one of the few African-American gay men leading a national LGBT organization. Blade: This is a full-time paid position. Are you leaving Hetrick-Martin? Davis: My last day at Hetrick-Martin will be on Sept. 6. I will still be based in New York, so I fully intend to continue stopping in to see the kids. There is so much to learn from them. Blade: How will your new position at You Can Play affect your work at You Belong? Davis: Both projects will continue on their respective missions and I expect them to work together cohesively. You Can Play will offer access to professional athletes for the You Belong Leadership Camps. You Belong will offer a youth audience to further the mission of You Can Play. I think there will be great synergy. Blade: I know from talking to you in prior conversations that you are a huge sports fan and love to compete. What are you doing to stay in shape? Davis: I am the captain of the national travel team for the New York Gay Flag Football League and generally use my birthday at the end of July as my launching pad to be in great shape for Gay Bowl in October. I don’t want to give anyone the opportunity to say that they outplayed the former professional football player. Blade: Tell me about the book you are writing. Davis: It is called “Interference” and it is the story of my journey so far. It has actually evolved over the past year because of all the changes in my path. Now it will include educational tools for people who are interested in getting involved in social justice. It will be on the newsstands in late 2014.